If it’s the first time you will be driving on Maltese roads, a word or two of caution are in order. Although Malta’s road fatalities are the smallest per capita in Europe, it doesn’t mean that our roads are any safer. Especially if you come from a country that is not the UK, it means you will be driving on the other side of the road. In Malta, cars use left-hand driving. If you’re used to driving on the right, take it slow and perhaps choose a less busy time to try your first drive. The car’s steering wheel and buttons will feel re-versed. Often it takes a little time to get used to this, so be aware of it and choose a time of day when the roads are quieter. Sunday mornings are usually the quietest days on the roads, so if you’re new to left-hand driving, this is a good time to try driving. 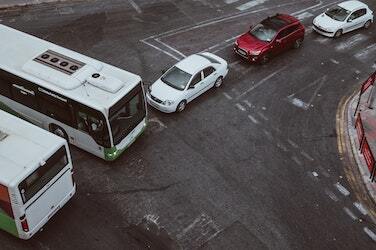 Once you’ve figured out the right (or rather left) side of the road, there are a few things you’ll need to know about local driving. It’s a bit like the wild west but with fewer people on horseback (though you’re bound to see a few). Joking apart, some local drivers got their driving license when the driving test and rules were much simpler and there were very few cars on the road. These people often think that road signs are just a suggestion and careless driving is okay. They can be caught not indicating before turning, hooting instead of brak-ing, ignoring stop signs and going faster than the limit. These things, though they happen, aren’t tolerated and careless drivers get fines if they are caught not adhering to any road rules. Driving slowly will usually keep you safe enough from other drivers as it gives you the time to react to any misgiving on their part. In summer, it is also important to keep an extra sharp eye out for pedestrians. The island is heaving with tourists during this season, meaning that the number of people stepping onto the road after looking the wrong way increases exponentially. Often these are just tourists that come from countries where they drive on the other side of the road. Looking the wrong way is unfortunately instinctive for them. It is not likely you will be caught for speeding in Malta by a police warden; it is, however, pretty likely a camera will catch you red-handed. Many speed cameras dot the island, so be very careful. Speed limits are clearly indicated and often range from 30-35 km/h within small villages with narrow roads to 60 km/h or 80 km/h per hour on wider roads. These are compulsory for everyone. Front-facing baby seats are also not al-lowed and should be substituted for the back-facing seat belt fitted option. You’re not allowed to use your mobile phone when driving, even if this is at-tached to a hands-free system. Fines are quite hefty, so be extra careful. Of course, this is not allowed. The drinking limit in Malta is also pretty low. Depending on your stature, it usually means that you’re above the limit with just one or two drinks. Some bars have breathalyser test machines that can test you test help you stay below the limit.